Who better to employ than a Snowflake! 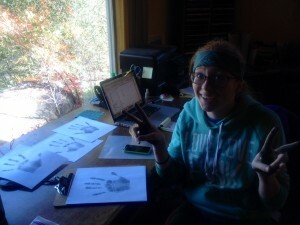 Here is Beth handling office details in my Three Rivers office. It was time to take new handprints, too.